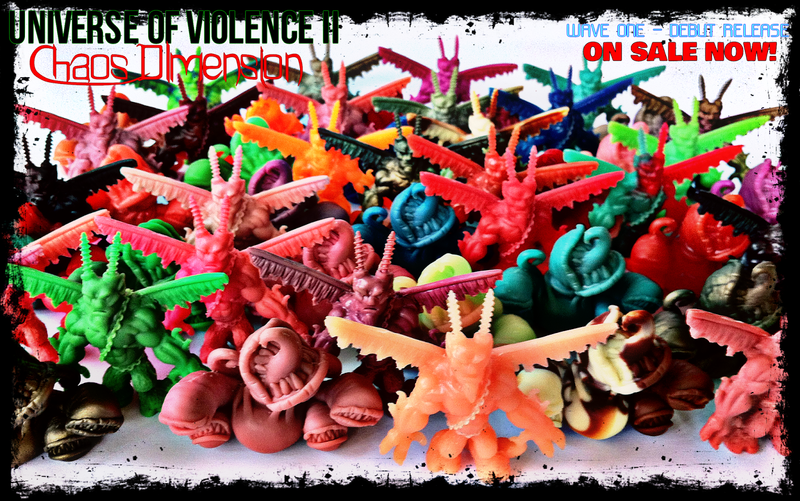 Ironhaus Productions OZ: PRESENT - UOVII WAVE ONE DEBUT RELEASE figures on sale NOW!! PRESENT - UOVII WAVE ONE DEBUT RELEASE figures on sale NOW!! UOVII Wave One Debut Release figures are now LIVE and available for purchase at my store! Being my first time selling on Storenvy, I was bound to make some noobie mistakes... I apologise to everyone who tried to place an order only to find my store wouldn't accept paypal payments. Doh! There's currently about half to stock remaining if anybody is still wanting, but all current received orders will be dispatched tomorrow! Thanks a lot all you guys for the amazing support! I couldn't do it without y'all. Especially my two main cronies, Eric Nilla & Jimmy Rommel. Without you guys, none of this would've happened. Thank you both for all your awesome help & support!